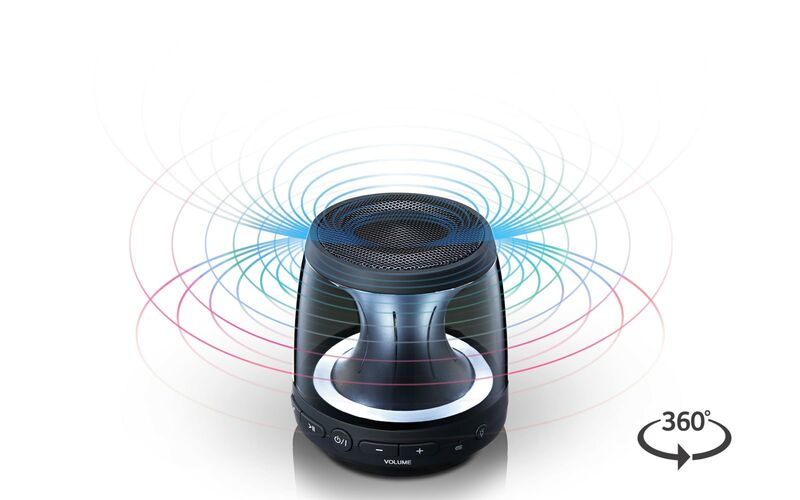 Free yourself from having to sit in front of your speaker. With different lighting modes the LG XBOOM Go PH1 Entertains. Leave it in a solid color. With different lighting modes the LG XBOOM Go PH1 Entertains. Relax to a soft glow. 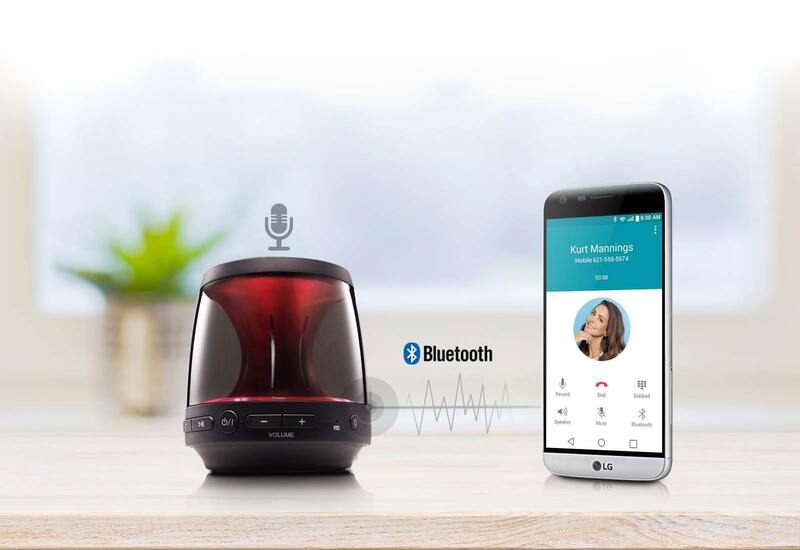 With different lighting modes the LG XBOOM Go PH1 Entertains. Flash the light to the beat. 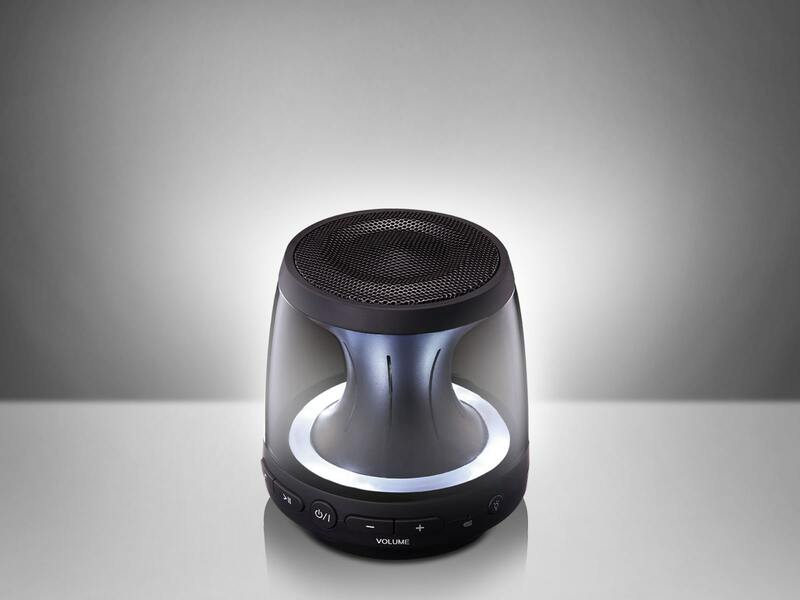 Stream music wirelessly via Bluetooth from mobile devices for a more versatile listening experience. free conversation using the speakers built in microphone. End the call and the music starts right back up again. 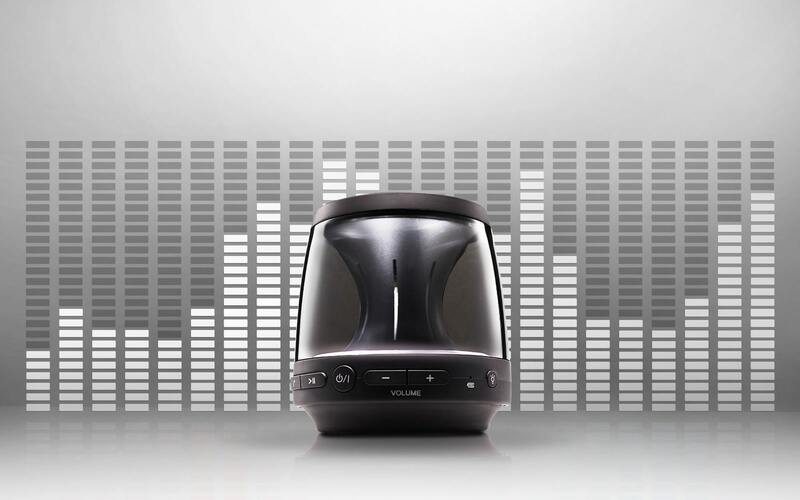 The rechargeable Li-Polymer battery supports hours of audio playback. Not all your music is on Bluetooth connected devices. Easily connect your audio devices. Sorry, We do not offer Pay on Finance for this product. 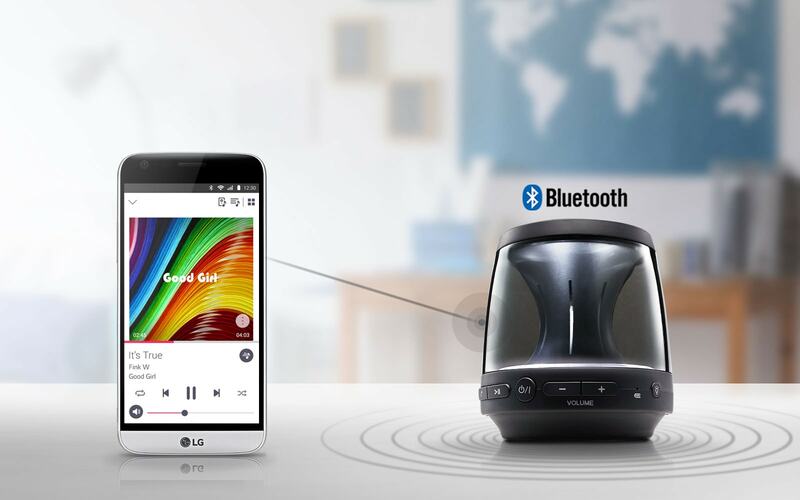 Because of the design of the LG XBOOM Go PH1 you can move all around the speaker and the audio will not suffer. 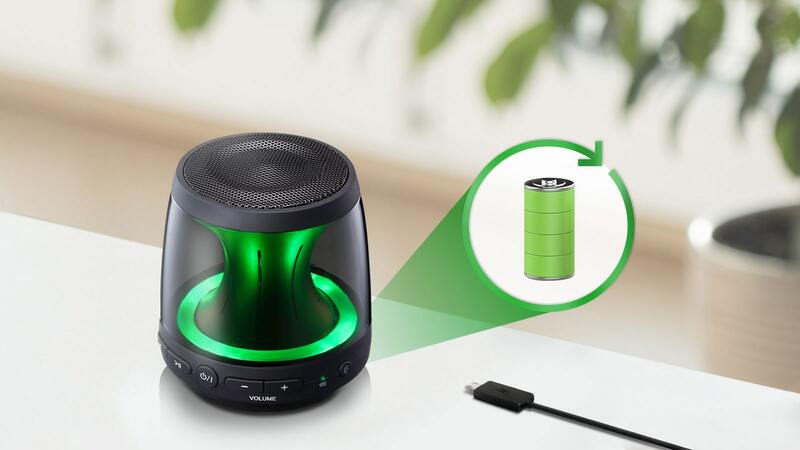 Move in front or behind the speaker and the audio will still be with you. 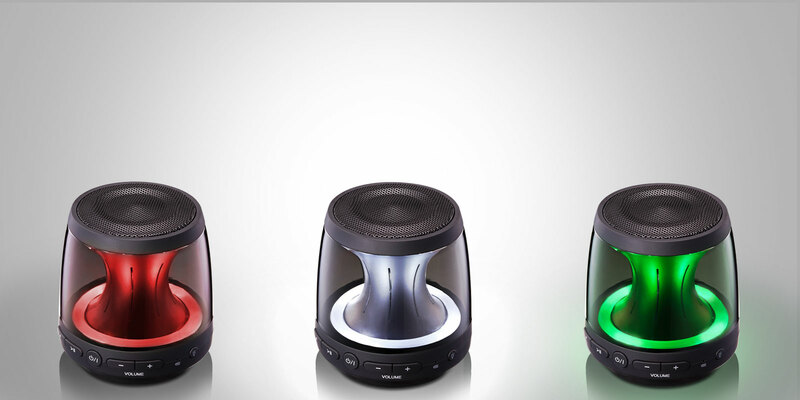 Phones and speakers go together. 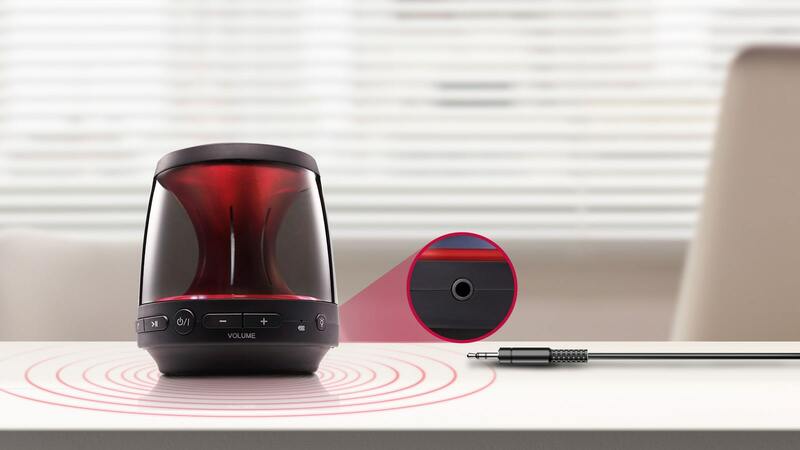 When a call comes in the music can pause and you can hold a hands free conversation using the speakers built in microphone. End the call and the music starts right back up again.